Best Face to the Camera! 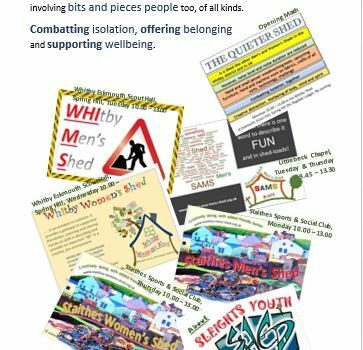 Pleased to say . . . .
Three years since SAMS was founded in Littlebeck, here is the present state of play. Local Sheds for local people. So many in and out of our Sheds are suffering the flu, accompanied by coughing that is rib bruising. But, “Carry on Shedding”. 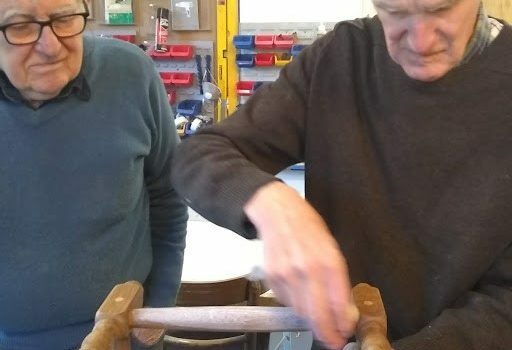 This is Tuesday at WHIMS, Whitby Men’s Shed. Some good work done.